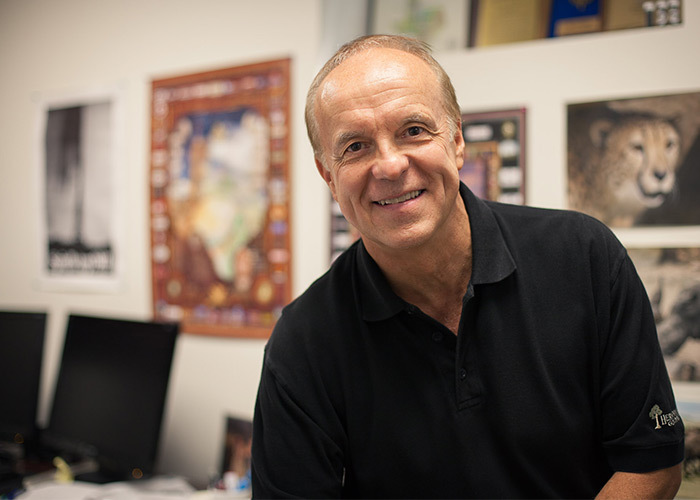 Robert Stewart, Hugh Roy and Lillie Cranz Cullen Distinguished University Chair in Exploration Geophysics at the University of Houston, was selected as president-elect of the Society of Exploration Geophysicists (SEG) by its active members worldwide. With more than 27,000 members in 128 countries, SEG members range from industry professionals to academic researchers. Many members, including Stewart, have careers that have spanned the resource sector as well as university and governmental communities. “I’m elated to have been elected and excited to further serve the profession of exploration geophysics as it strives to support economic prosperity, understanding of the Earth, and humanitarian outreach,” Stewart said. After Stewart spends a year serving on the SEG Board as president-elect, he will assume the office of president at the 2018 SEG Annual Meeting in Anaheim, California. After his term as president, he will serve an additional year as past-president. During these three years, Stewart will be part of the Executive Committee and Board, with responsibilities in outreach and education, strategic and business planning, and collaborations with other associations and groups. Stewart’s election comes at a time when applied geophysics is facing challenges due to the economic downturn in the oil and gas industry. One of SEG’s challenges is to ensure that it serves the ever-evolving professional interests and needs of its members. Especially important are networking opportunities, continuing education, and connection to advances and best practices in applied geophysics. Stewart’s career has included positions as an energy company employee, a small business owner, and a professor of geophysics, joining the College of Natural Sciences and Mathematics in 2008. He is enthusiastic about using this broad experience to help guide decisions and activities in his role with SEG. He is well placed to do so having received the SEG’s Distinguished Educator Award and UH’s Teaching Excellence Award. What Does the Future Hold for Geophysics?